Since last August 25th around 700,000 Rohingya people have fled Myanmar and sought sanctuary in Bangladesh where they settled among the previous migratory waves of Rohingya, bringing their community to over one million. The stateless Muslim Rohingya minority has often been described as one of “the most persecuted minorities” at a global level and has been a major target of persecution in light of their religious faith. Rohingya people are Muslim in a country, Myanmar, where the great majority of inhabitants are Buddhist. Moreover, their discrimination is historically rooted and motivated by a change of the borders of the former British Empire, when the area was administered as an Indian province. When Burma declared independence, from British rule, clashes between natives and Rohingya people escalated. The first humanitarian crisis occurred in the 1970s, triggering the flight of 200,000 Rohingya to Bangladesh. In the 1990s, another massive wave of forced migration pushed hundreds of thousands desperate people to cross the border between Myanmar and Bangladesh to reach safety. New arrivals added to old Rohingya, who settled in different areas. 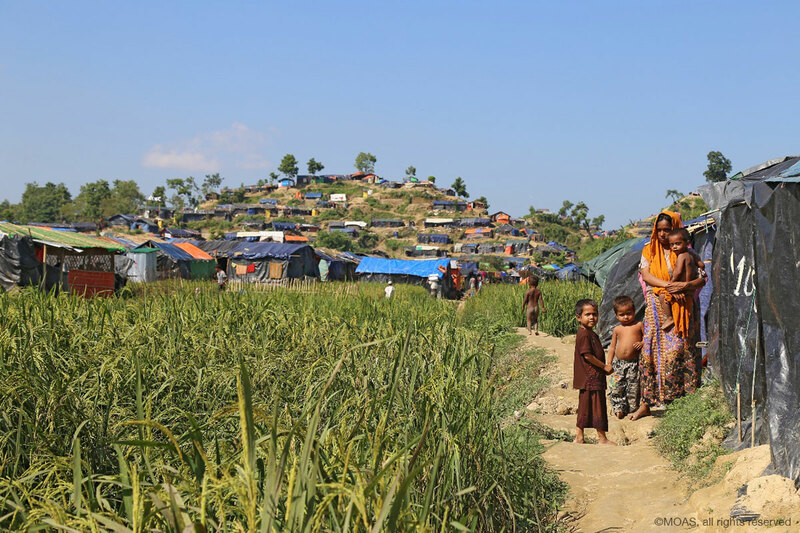 At that time the Kutupalong and Nayapara camps were established to host the unprecedented number of newly-arrived Rohingya, but chaos and overcrowding did not help in managing them. In 2014 the UNHCR, after many boat crossings were recorded and inter-communal violence erupted again, stated that amid the camps under its mandate an estimated 33,000 people were living, while between 200,000 and 500,000 individuals had never been officially listed registered by Bangladeshi authorities. Such a huge discrepancy in figures of registered people is not a mere statistical relevance, but turns desperate people into ghosts, whose rights can hardly be protected. If authorities do not even know about you, how could they focus on your personal development or implement supportive strategies? As recently documented, unregistered births can further foster human trafficking, and “unregistered refugees are unable to register their children”, who then become untraceable. 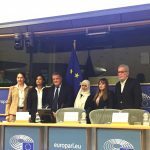 However, legal provisions and status are not the only threat to Rohingya people. The latest influx of Rohingya has been the largest so far and poses enormous challenges in a middle lower-income country with limited resources. Additionally, people have cut trees and settled wherever they could find some space, while little attention has been paid to create a sustainable pattern of shelters. The outcome is that wildlife, namely elephants, have killed innocent people who had thought to be safe. Deforestation, soil degradation, overcrowding, lack of adequate WASH facilities and poor drainage systems will worsen the catastrophic impact of the upcoming cyclone and monsoon season, and all entities on the ground are working hard to minimize it. 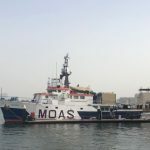 MOAS is improving its preparedness and training its medical staff to react in the most efficient and effective way possible. Efforts are daily made to strengthen communication and electrical facilities to avoid failures that would leave entire communities isolated. Nevertheless, the international community is not doing enough to prevent damage and loss of human life. Every life lost during the monsoon will be a casualty caused by indifference and a lack of funds. 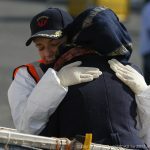 As eight years of war in Syria –where civilians are starving and have no medical assistance at all- have proven, and the sea cemetery along the Central Mediterranean route has demonstrated, the world is deaf and blind to the suffering of innocent people, whose rights should be safeguarded. What are we waiting for? How can we silently accept that children, women and men are being killed on a daily basis or suffer from treatable diseases only because they have no access to a decent healthcare system? How can we tolerate that people lose their lives on unsafe boats to escape a war-torn country or flee persecution without even being spotted or having the chance to ask for help? In 2015 the Andaman Sea crisis was marked by the so-called “ghost boats”, vessels departing from Myanmar that were abandoned by traffickers without regard for their “human cargo” due to disembarkation restrictions in Thailand and Malaysia. Those episodes were a clear evidence of national egoism and departures decreased both because it became evident that the sea route would have not granted safety and because mass graves were discovered at the border between Thailand and Malaysia. It proves that if desperate people have no legal means to seek sanctuary, they will become easy prey for criminal networks. Data collection and situational awareness are crucial to react to emergency situations, and this is why MOAS decided to carry out an observation mission in the Andaman sea with a professional team on board to perform SAR operations, if necessary. But, no long-term result can be achieved without a genuine willingness to restore our lost and forgotten humanity. If we are not able to deeply feel the suffering of innocent victims worldwide, we will have few chances to survive egoism, brutality and violence, and the number of people dying from indifference will dramatically escalate.